Today we move our golf ball very close to the Pelle… We look at them: The making of the white gold? It is a long way until it creates the golf ball in its packaging and is waiting to be unpacked and to show its true size. Behind the hard shell is not only a “soft” core, but also a lot more divine properties. But until that time the quality is checked again and again, so that only the very best can see the light of day. Each golf ball has a core. Different models usually means other cores as well. These consist mainly of synthetic rubber, which are mixed with other materials. Rubber mats are first made from this perfect mixture. The mats are then rolled out. In the next step, thoroughness is required! Each core must be the same and meet high requirements. Small pieces of rubber mats are stamped, heated and pressed so that they get their round shape. The round cores have different colors depending on the composition. 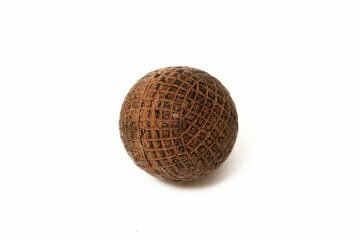 After the balls get out of the press, they still have minimal rubber residue around them. These will be cut exactly so that the ball is round again. In the fourth step, a very thin layer is applied around the mantle. This layer then prepares for the last layer (s). Depending on what a golf ball you produce (2PC, 3 pc, multilayer), both material and the thickness of the outer layers used may vary by the core. For a urethane-coated golf ball, inject the urethane into a mold. The Dimplemuster is processed in this form. The two-layer core is pressed into the mold. A chemical reaction connects the core to the urethane and the ball receives its Dimplemuster. The manufacturing process with a urethane coating is very complex as well as hochwertigst. If the golf ball is covered with Surlyn, the process is carried out in a mold. The Surlyn is injected into this. The high performance NEI technology is also increasingly used. After the balls have received their layers as well as their exact Dimplestruktur , they are taken out of the mold. Now the seams are sanded off so that a completely round golf ball can be seen without seams. 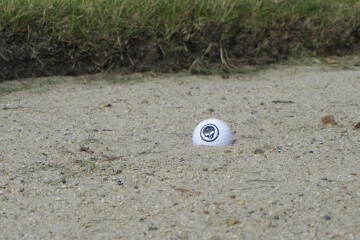 Almost at the end, the golf ball gets paint finishes, its divine logo, a number as well as its roll-call alignment line. Finally, the almost finished balls are sprayed with a very thin, transparent polyurethane layer. Each golf ball that is to be played in the tournament is subject to the strict guidelines of R & A and USGA. Thus, it is always checked during and after production whether all criteria are complied with. The divine balls require a certain weight, a certain Dimpleanzahl, a certain diameter. This is tested at several stations. After the little Darling has a dozen stations behind him, with 11 other friends, he now falls into his divine sleeve and waits to finally conquer the green with you.